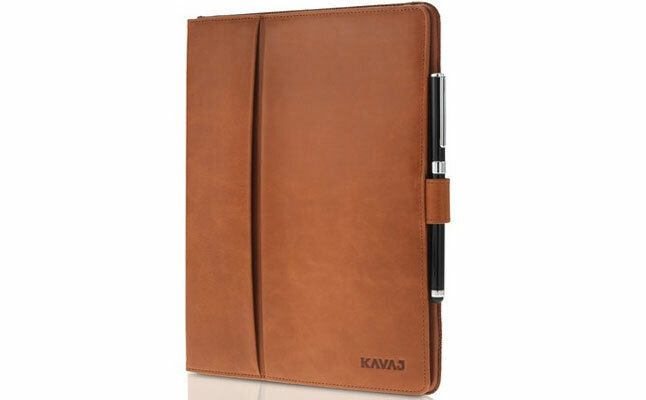 Kavaj presented London – an exquisite folio tablet case made to fit the Apple iPad 2 and the new iPad. The case is crafted from 100% genuine leather , which combines luxurious looks with everyday protection from impacts and scuffs. The interior flannel fabric takes care of the unwanted smudges and scratches. 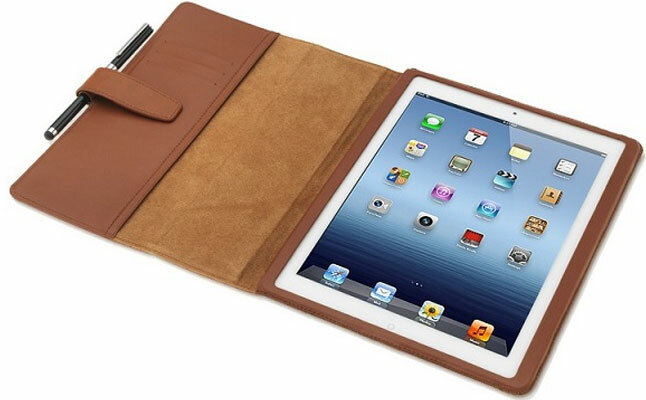 The unique cognac shade of the Kavaj London’s leather provides a rich, creamy color making the case a truly one-of-a-kind iPad accessory. The London is also available in black leather color. The new iPad case features a pen loop, and an ink pen itself, which can function as a stylus as well. A small tab with Velcro help secure the case when not in use keeping the contents inside at all times. 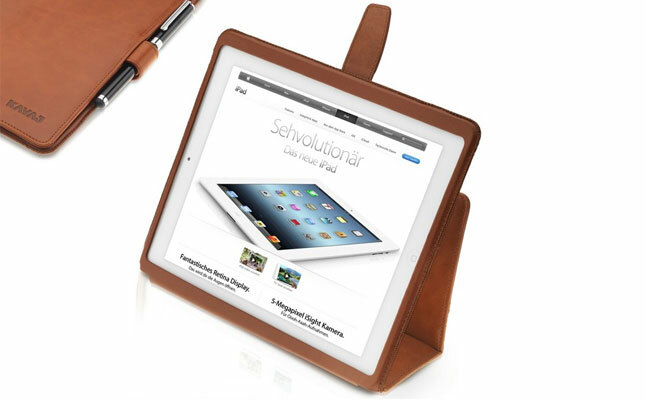 The Apple iPad 2 case can double up as a tablet stand offering several convenient viewing angles ranging from low typing one to almost upright multimedia viewing position. 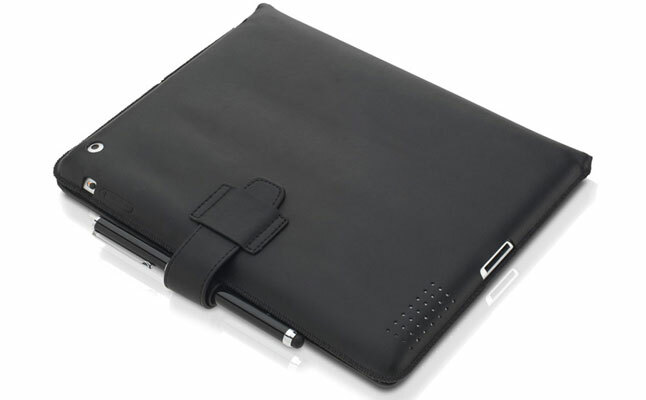 The case comes with a subtle pocket for business or credit cards, and other important documents.